The Lord Bishop of Durham: My Lords, I add my thanks to the noble Lord, Lord Dubs, for securing this debate and for all he does as the living embodiment in this House of the Kindertransport legacy. It was also my privilege to be present at the event at the Friends’ meeting house a couple of weeks ago, which was deeply inspiring. 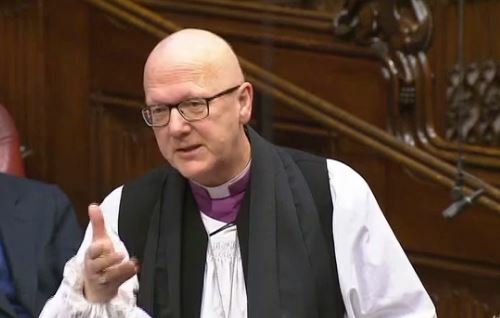 (i) Bishop of Durham: To ask Her Majesty’s Government how many bedrooms in accommodation allocated to asylum seekers in (1) the North East of England, and (2) Yorkshire, under Home Office COMPASS contracts, are shared by two or more unrelated individuals; and what proportion of the total number of bedrooms available in those areas that figure represents. On the 25th January 2017 the Bishop of Durham, Rt Revd Paul Butler, asked a question to the Government on the floor of the House of Lords about unaccompanied child migrants in Europe. His question, the response and full series of follow-up questions from Peers is reproduced below.